Orangutans in Borneo’s jungles have been facing grim prospects. Relentless deforestation has been depriving them of their traditional habitats. All they can do in the face of encroaching development is to seek refuge in denser vegetation in the hope of staying out of sight and out of harm’s way. Unless the logging of high-value trees stops, however, the island’s apes will have precious little forest left in which to seek escape. This isn’t mere conjecture. Hard science can now confirm this trend. Two researchers from the Carnegie Institution for Science in Washington D.C. in the US have published a paper in the journal Proceedings of the National Academy of Sciences, explaining that in Borneo’s disturbed forests areas the critically endangered primates are migrating away from trees with low-density canopies in favor of denser foliage. To track the animals’ movements, which they did for a year, the researchers relied on visual observations and high-resolution laser remote sensing, which helped them map the movement of orangutans through the canopies of disturbed forests on the island. “Our findings provide crucial insights into the types of forest characteristics orangutans use in disturbed forests and are likely required for their continued survival in these fragmented landscapes, where most of the extant population occurs,” they write. The researchers focused on the Lower Kinabatangan region in Sabah, a relatively unspoiled stretch of nature renowned as a biodiversity hotspot. Yet even here, after years of deforestation in certain areas, clear patterns emerged about the movements of local orangutans. In several large patches local forests have been thinned out by loggers and palm oil cultivators. What the researchers found was that in fragmented and disturbed forests resident orangutans preferred to inhabit certain types of canopy: tall trees with strong branches. 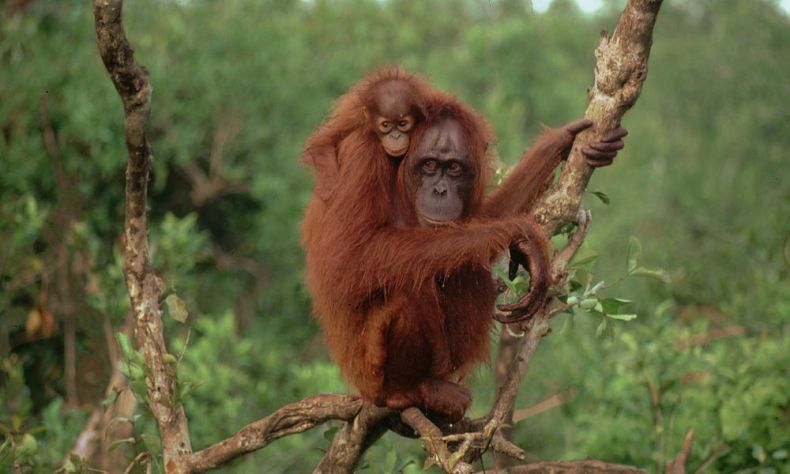 Owing to their weight and size, orangutans need strong branches to move from tree to tree. Absent such branches, they need to descend to the ground and cross over that way, but this exposes them to predators and also makes for a tiresome way of moving about. What this means is that orangutans need plenty of tall trees with dense canopy in close proximity to one another. 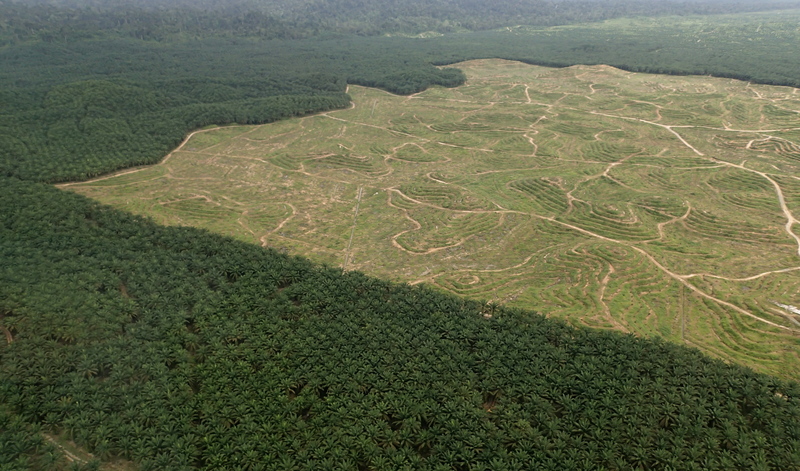 Keeping such trees intact will be vital for orangutan conservation efforts.